KPMG, NatWest and Elance teamed up with Rockstart to bring the best of Europe’s Smart Energy innovation to London. On June 19 - amid London Tech Week - 5 companies of Europe’s first Smart Energy startup accelerator will present their innovations to an exclusive group of entrepreneurs, investors and executives at Campus London. 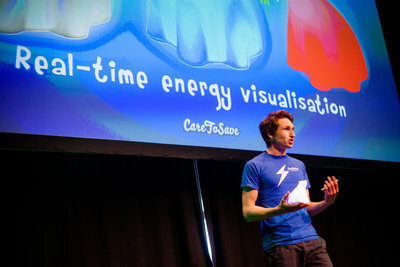 KPMG, NatWest and Elance teamed up with Rockstart to bring the best of Europe’s Smart Energy innovation to London. On June 19 - amid London Technology Week - 5 companies of Europe’s first Smart Energy startup accelerator will present their innovations to an exclusive group of entrepreneurs, investors and executives at Campus London. The goal of the event is to introduce some of Europe’s hottest smart energy startups to key players of UK’s energy industry, provide them with important insights into the country’s energy market and fire-start potential collaborations. 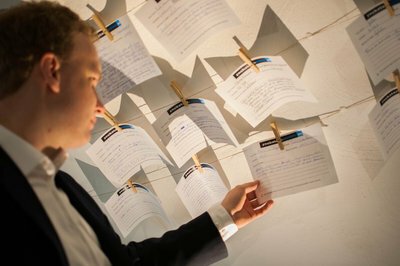 This invite-only event will follow the unique format of Rockstart Answers: the many-to-one direct feedback event between 5 startups and 40 ‘startup contributors’ (investors, entrepreneurs and executives) that helps startups answer their toughest question. Contributors will be asked to share tips and tricks that will help these startups enter the UK market. Interested contributors can request an invitation by email to gregor@rockstart.com. 1. We Share Solar is a crowdfunding platform for collective solar-energy initiatives. 2. Power Tags develops location tracking wearable devices for a variety of applications. create a healthy working environment and save energy. 4. Bundles offers home appliance subscription services that charges based on use. 5. CareToSave teaches kids how to reduce energy usage with the help of Bobo, a polar bear energy display. Rockstart Accelerator helps 10 startups to accelerate their companies and break through global markets through an intensive 6-month program based in Amsterdam with a month long roadshow to European energy hubs. Rockstart Smart Energy accelerator launched in January 15, 2014. 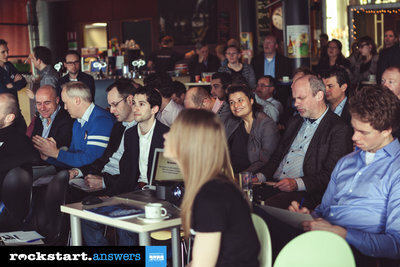 Rockstart Answers is one of Holland's most impactful startup events. Since its launch in 2012, Rockstart Answers has helped 150 startups through 30 events organized in 14 cities in the Netherlands and other European capitals. Among Rockstart Answers alumni are renowned tech companies such us Uber, WappZapp and Betalist. Rockstart Accelerator and Rockstart Answers are part of Rockstart. Rockstart helps startups to become more successful in their first 1000 days. Rockstart runs two international accelerators, several startup events and a 2000 sqm co-working space in the heart of Amsterdam. Read more on Rockstart.com.